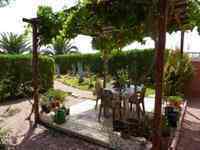 This lovely, finca style of property is located on the outskirts of Daya Vieja not too far from Rojales. From the rear there is a short cut to access the nearest shops, only 6 minutes walk. 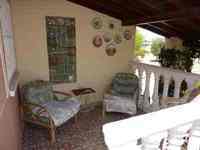 There are many amenities though in the various nearby towns. The accommodation is on one level and comprises of 2 double bedrooms, with fitted wardrobes; a large bathroom with a bath and a shower cubicle; a spacious lounge with fire place; a separate kitchen leading to a rear conservatory and at the front is a further sitting room/office. 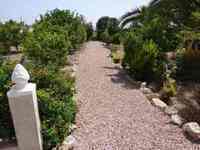 The mature gardens are well maintained with a large selection of fruit trees and Mediterranean plants. 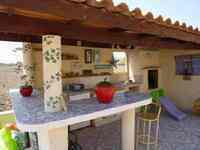 There is a garage, wood store, a large shed, outside kitchen/bar and various sitting areas. 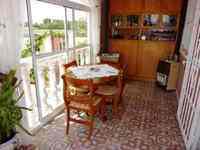 The property has double glazing, grilles, telephone, ADSL, British TV, a direct alarm and hot & cold A/C. Located in Daya Vieja, Rojales, Spain. It has 2 bedrooms, 1 bathrooms and 1 floors.